At first glance Dior Nail Glow may look like a high end top coat, but it's much more - and once you start using it, you won't stop using it. Dior Nail Glow is unique. It's a nail enhancer that gives nails a natural pink shade, makes nails took healthier, pinker and also makes the whites appear whiter. It gives nails maximum shine and the effect of a "glow" just like on skin. With just one coat of Dior Nail Glow my nails were shinier than I've ever seen them and they looked like I had a very subtle French manicure. My nails looked healthier and above all, chic and sophisticated with just an easy swipe. Dior Nail Glow can be used over a top coat or base coat as well, and I noticed it chipped slightly less when I layered it this way. 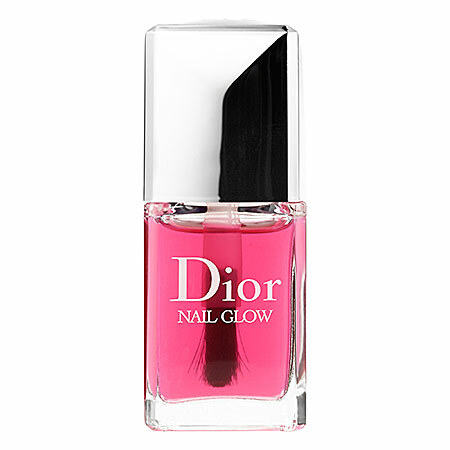 Another great feature is that Dior Nail Glow dried within seconds, which makes this a perfect product when you need to give your nails a touch of color before going out, or even while traveling. Dior Nail Glow is perfect for when you want just a touch of color on your nails, but don't want to go through getting a french manicure. With two coats of Dior Nail Glow, my nails were slightly pinker, and the effect lasted almost 2 weeks with very little dulling or chipping. Dior Nail Glow makes my nails look pretty and perfect, whether they're shorter or longer. Since the shine effect is like glass, it always looks like I've just had them done.